In classical literature, doing the laundry (women’s work) is presented by male authors as an innocuous, indeed aesthetically pleasing activity. 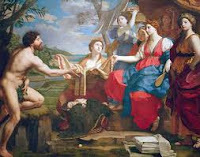 Nubile girls like Nausicaa in the Odyssey do the laundry when they are feeling amorous; in the Iliad, the ‘wives and lovely daughters' of Troy, in times of peace, used to wash their fine linen at the springs outside the city walls. I don’t agree with Homer that doing the laundry is pretty. I find folding clothes so mind-numbingly boring that I can only do it after two large glasses of claret. I was proud when my own lovely daughters, at the ages of 4 and 5, shouted ‘What’s that?’ when they saw an ironing board in a shop. They had never laid eyes on one before. But laundry means something much uglier and more political to me. It is not just that one of the most graphic metaphors for the way the super-rich avoid paying taxes on their grimy millions is ‘money laundering’. I first joined a trade union, which was then named the National Union of Public Employees, when I worked for a few months in 1978 in the laundry of a mental hospital. 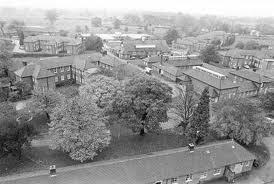 Cell Barnes in St. Albans, originally founded as a 'colony for mental defectives', was demolished in 1998. 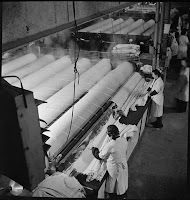 But twenty years earlier, much of its unspeakably filthy linen was processed in a laundry equipped with steam presses so dangerous that burns and crushing injuries were a daily occurrence. Since most of the labour used by the hospital was provided unofficially by its own mental ‘defectives’, who were paid only pocket money to spend at the sweet shop, nobody ever complained. Worse, conditions were so unhygienic that in 1973 there had been a dangerous infestation, affecting hundreds of patients, of a disease caused by a vicious intestinal parasite called Trichuris trichuria. Its eggs had incubated from faeces in the part of the laundry where dirty sheets waited to be washed. I discovered this by accident, but found it confirmed years later in the British Medical Journal. At the time the whole thing had been hushed-up since the Management didn’t want their literally and metaphorically ‘dirty linen washed in public’, as Managements never do. Yet David Cameron, the accumulation of whose own inherited fortune exposed his banker and stockbroker forefathers to the terrifying physical danger of depositing cash in their bank accounts, has found a new soft target. Last Thursday he pledged to wage ‘war’ on what he perceives as the ‘excessive health and safety culture’ damaging the British economy. Health and safety regulations are to be cut by half and a cap imposed on legal claims worth less than £25,000 (a paltry sum, obviously, to Mr Cameron, but twice most laundry workers’ annual wages). 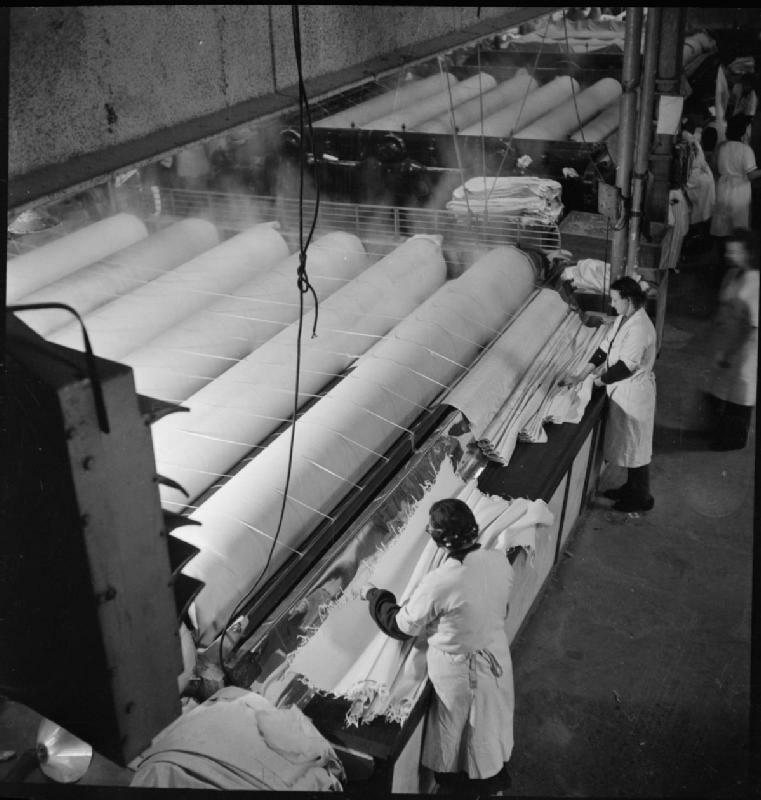 The website of the Health and Safety Executive has a long list of the horrific medical conditions suffered by laundry workers, who tend to be women and often new immigrants, at http://www.hse.gov.uk/laundries/experience.htm. These include incurable musculoskeletal disorders as well as direct traumas. This is compulsory reading for anyone tempted to sympathise with Cameron’s dislike of rules designed to protect the lives of the British workforce.